In the rush to open for business don’t skip branding. Instead, take the necessary time to develop your brand and it will reap benefits for your firm in the long run. Here are the 3 major reasons why small businesses must develop their brands. Small business branding reason 1: maximizes resources. Even if you’re a one person shop, having a unique branded look takes your presentation up a notch. Everything from your business cards to your email signatures should be consistent and polished supporting the quality image you want to present. By being consistent, your small firm has a bigger impact because every piece of content or impression reinforces your message. People learn who you are. 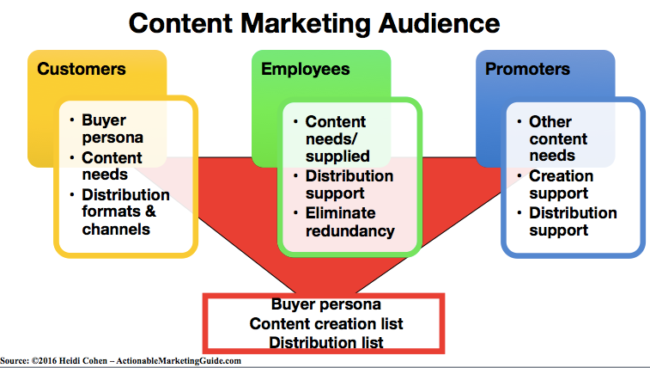 For example, Content Marketing Institute and Likeable Media both use orange as their brand color. Small business branding reason 3: protects your business from being defined by your competitors and others. Without a well defined brand, every piece of content and communications you issue can look different. As a result, your prospects, customers and fans don’t know who you are or what you stand for. Even worse, your competitors can define your business in a less flattering light without you even being aware of it. The biggest branding challenge most small businesses face is finding the time to define their brand and to develop a set of brand guidelines. Here are 5 small business branding guidelines to help you think about your brand. Small business branding guideline 1: State your business mission. Go beyond monetary objectives. What do you want your business to accomplish that’s bigger than the work of the people involved? How do you want your organization to make a difference? This is important for millennials. A business branding mission is a statement of the principles that motivate your operations and tie it to the larger aspirations of your audience. It’s important that you share this vision with the creatives that are responsible for the look and feel of your company’s logo and other visual (and audio) communications. Small business branding guideline 2: Define your audience. It can include prospects, customers, influencers, employees, and others. Create a marketing persona to better understand your audience. Verify the details by surveys and interviews. What are their likes and dislikes? How do they feel towards your business? This has a significant impact on how easy or hard it’ll be to persuade them to purchase from you. Don’t just think about the answers to these questions. Write them down to review and share them with your creative resource people. Small business branding guideline 3: Study the competition. Assess a wide range of competitors, online and offline. Include the top players in your category and shopping in general like Walmart, Amazon and eBay. Examine how they represent their brands across channels and platforms. Put yourself in your prospects’ shoes when evaluating near substitutes. What tradeoffs will they make and for what reasons? For example, a consumer may take a book out of the library instead of buying a physical book or download. Answer the question “Why should a customer buy from you and not your competitors?” If you’re stumped about how to respond, chances are so are your prospects. Small business branding guideline 4: Define key context where you’re most relevant. By its very nature a small business can’t appeal to everyone. You need to find that sweet spot where you can build a community requiring your specialized expertise. Before hiring a design shop, assess the elements you want to represent your business. They should have a deeper meaning for you and your audience since they’ll be core to your logo and other brand representations. Not sure how to start? Then create a mood board to make the process more tactile. It provides insights into how you view your brand. Go through magazines and other content finding visual elements you like. What colors and shapes appeal to you and why? Develop a brand and related logo that exemplifies the core essence of your business, appears professional, and resonates with your target customers. Keep it simple and easy-to-use. Take into account your 360° brand. Look and feel. What’s visitors’ first impression of your brand? Typography / font style. Is it legible for your core audience? Consider the size and spacing of the lettering. Color. 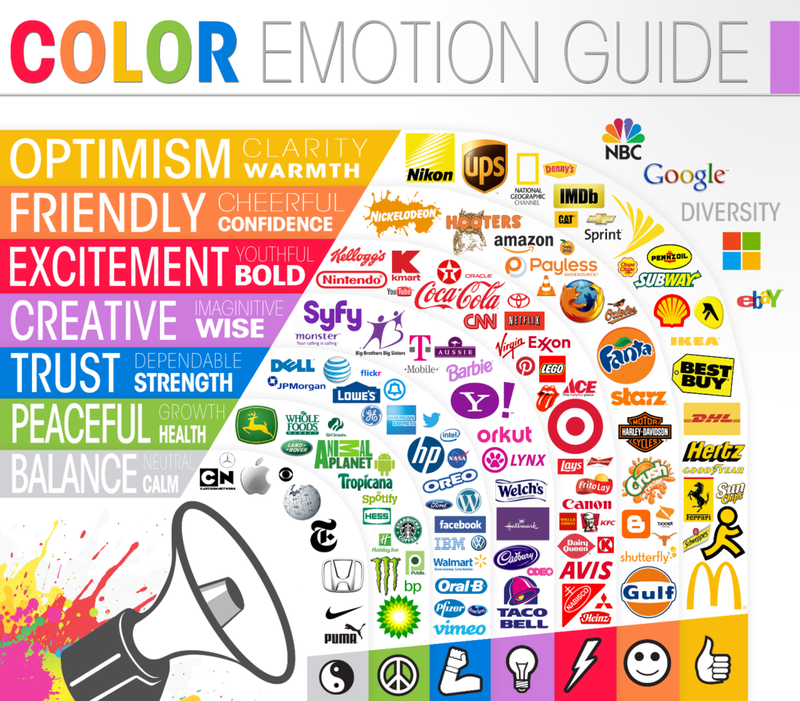 How does your color palette set your business apart from your competitors? How does it render on different devices? Mascot/visual cues. Who or what represents your brand? Do you have a mascot or do your employees wear specific types of clothing? Stories. What’s your business history or background? How’s this reflected in your branding? Platforms. Where does your brand appear? In terms of social media, this applies to the social networks where you are actively engaged. Small business branding guideline 5: Choose your name and tagline with great care. Your business name matters more than you might think. It is the handle that sets you apart and makes you findable and memorable. It’s not a trademark owned by someone else. Your tagline is the shortest embodiment of your business’ mission; your reason for existing. You can apply Chris Brogan’s 3-word approach to craft your tagline. Choose three words that have meaning for your business and connect you to your audience. Words that signify your choice of actions in pursuit of your business mission. Developed your own small business branding guidelines for incorporating your branding elements into your business communications. Then document why and how they’ve been created and how to use these elements. Consistency is very important in small business branding but there must also be enough flexibility in the guidelines for creative inventiveness and fun. While branding documentation may seem time consuming in the short term, it reduces questions and redundant effort each time a communication or piece of content is created. Further, it insures consistent representation of your business, eliminating wasted creation and promotion cost. Even better, your business appears professional and can look bigger than it actually is.